After surgery this past summer, I watched videos about birds and read novels featuring birds and butterflies. But soon I became bored and badly in need of a wildlife fix – something real and alive – and I wouldn’t be up to birding for a few weeks. National Moth Week had been two weeks earlier and it gave me an idea. I could leave the outside lights on and just step outside my back door with a camera. I could stay out for three minutes or thirty and I could go out in the middle of the night when I couldn’t sleep. Photos could be leisurely reviewed the next day and I could attempt to identify what I saw. My plan worked perfectly with just one side effect; it fueled another time-sucking hobby. I saw over 130 species of moths during the past three months and now I am seriously addicted to “moth-ing” in addition to birding. 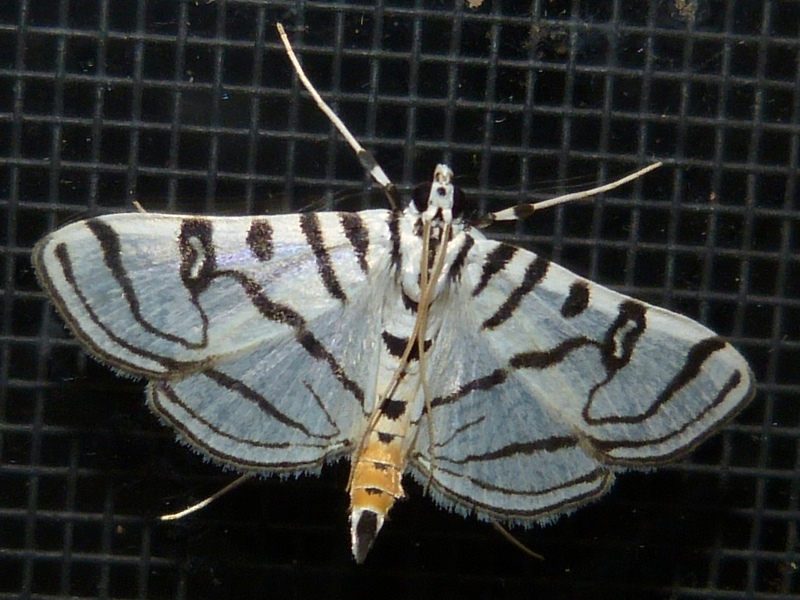 Moths are just drab little brown and gray things – is that what you are thinking? Well, take a look at this gorgeous thing, a Zebra Conchylodes. 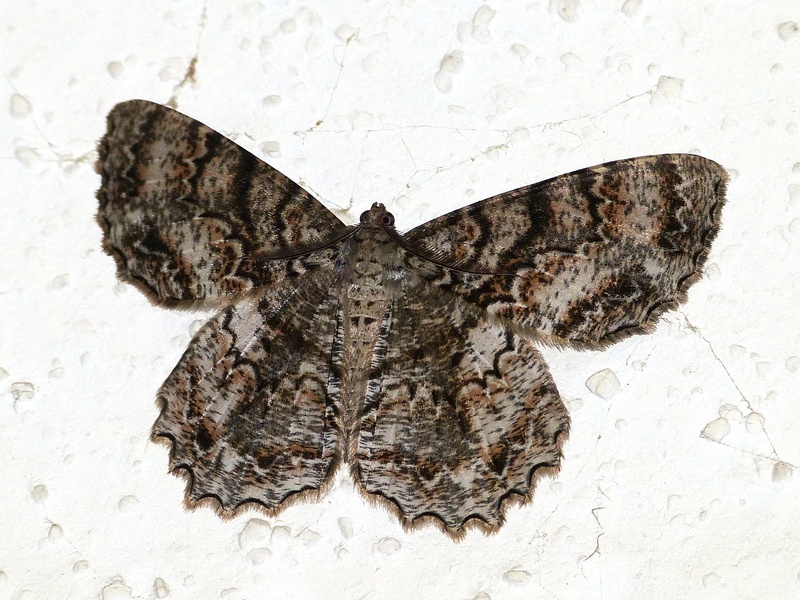 This Tulip-Tree Beauty few into my family room where I photographed it, and then it flew back outside when I opened the door. How cooperative! 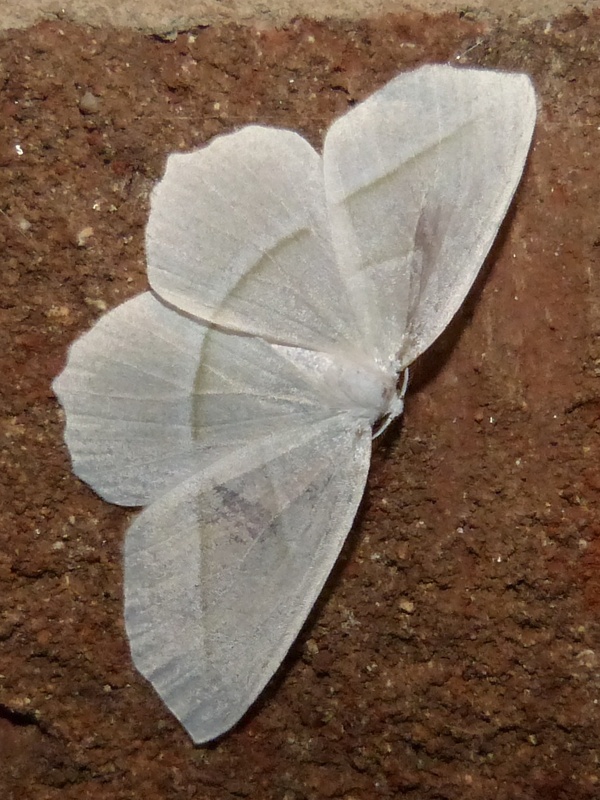 And could anything be more lovely than this delicate Pale Beauty? 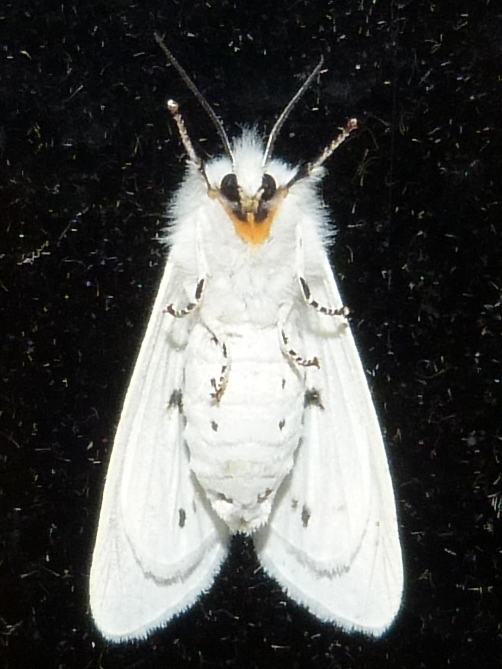 I discovered an amazing diversity of size, color, shape, and behavior in moths. But my quiet time alone outdoors in the beautiful summer nights resulted in the discovery of much more than moths. Insects! There are thousands and I saw a lot of them. 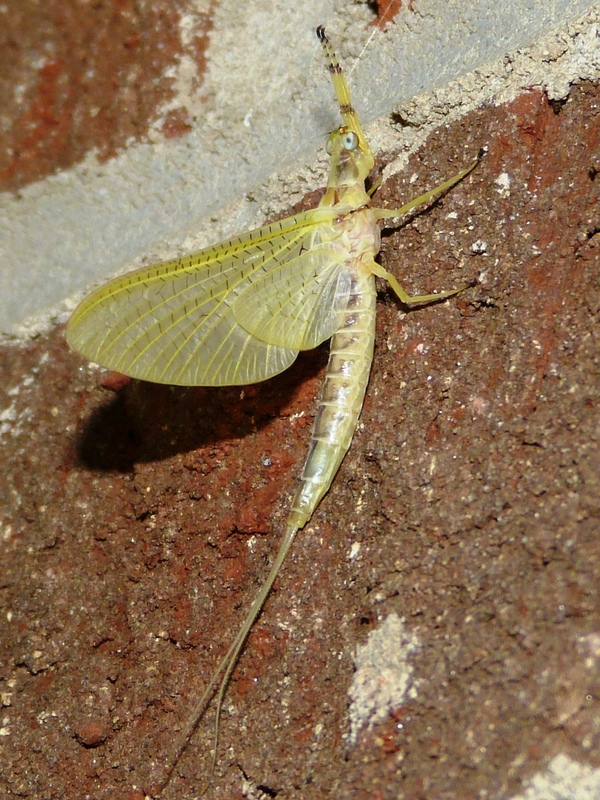 This Mayfly was a surprise that took me quite a while to identify. I was left feeling as I did after first seeing an Eastern Towhee in my yard. How could this amazing creature have been right here in my yard and I never noticed it before! Mayfly, perhaps a Hexagenia limbata or Litobrancha recurvata. 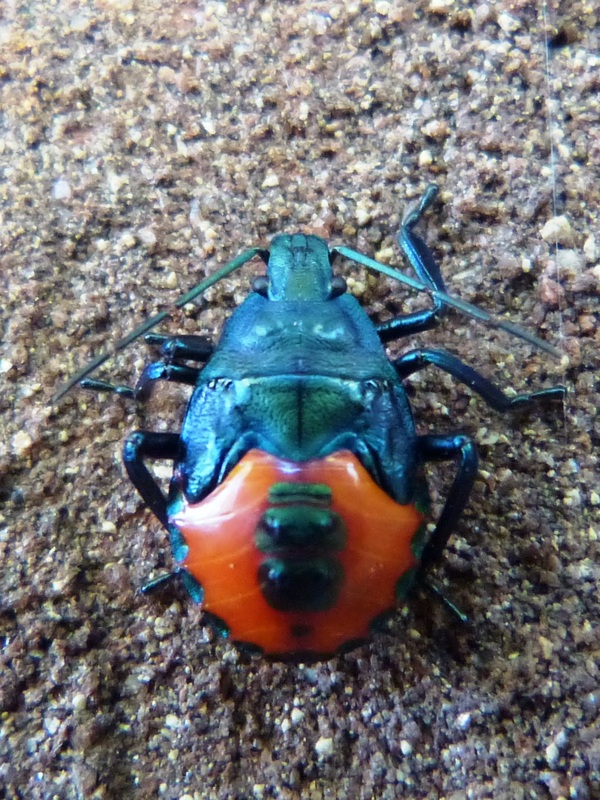 Here’s another interesting insect, a Florida Predatory Stink Bug. Yes, it’s a “good guy”, native and its prey consists of plant-damaging bugs, beetles, and caterpillars. I think that this is a 5th instar nymph. Most of the insects that I saw this summer still need identification. If you recognize anything in my Flickr “Backyard Insects” set, please leave a comment here or on Flickr. I learned that Barred Owls call nearly every night in late summer; not always their “Who cooks for you?” song, but frequently the gentle “hoo-ah” of owl conversation. 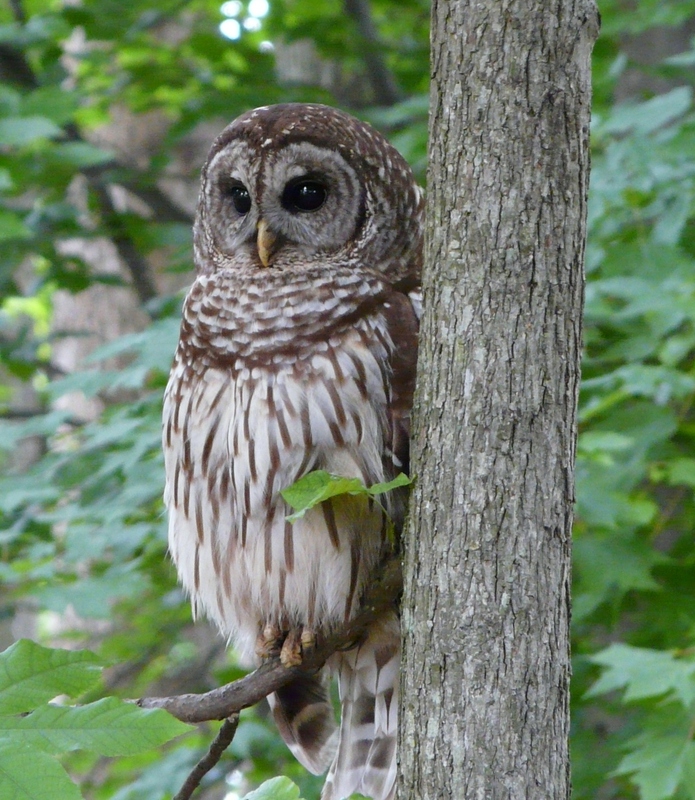 Barred Owl photographed in my yard a few years ago. They breed in my neighborhood. A couple of times I jumped when I heard something behind me and turned around to find as many as three raccoons on the deck rail. 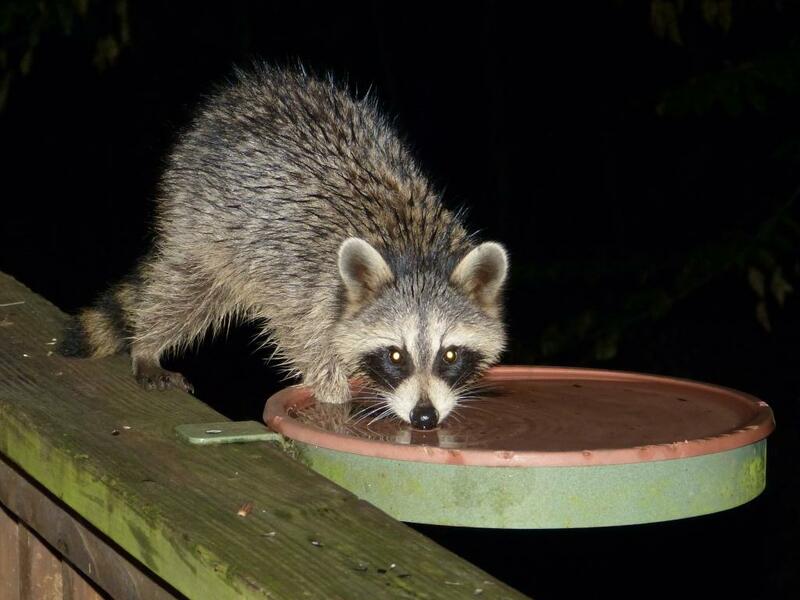 When fall arrived, the raccoons stopped visiting. Where they teaching the young ones where to get an easy meal of left-over bird seed? They certainly enjoyed the “foot bath” on my deck. Raccoons visited my deck every night for a few weeks during the summer. Neoscona crucifera, probably a female based upon its large size. 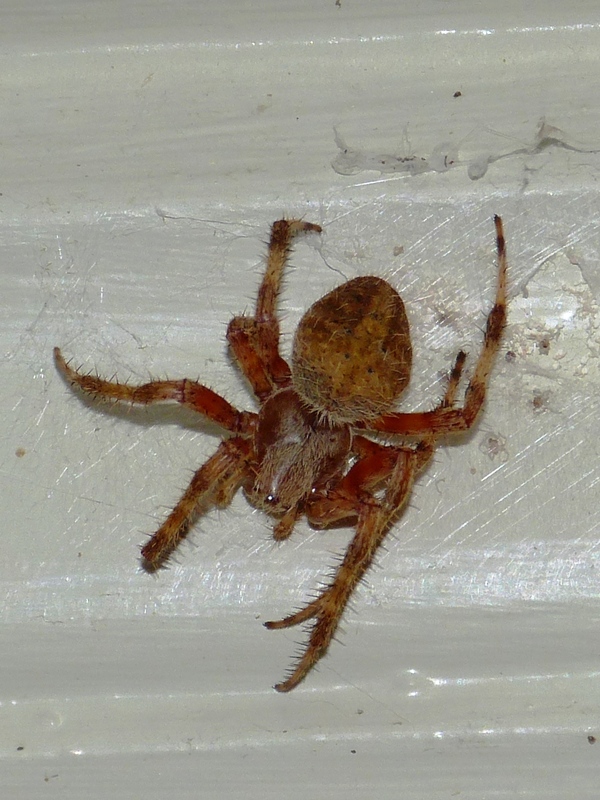 Recently I posted this photo of a large spider on Facebook with a request for an ID. One person commented, “What a beauty!” I felt a little ashamed that someone had to tell me that this was a beautiful living creature. I’m vowing to be more open-minded and expand my notion of wildlife beauty beyond plants, birds, butterflies and moths. Learning to appreciate diversity in nature is never-ending for me. Every time that I open my eyes a little wider, I’m astounded by the beauty and wonder of life.